LG Innotek will supply Apple with 3D facial recognition modules for the iPhone 8, according to The Korea Economic Daily (via The Investor). The report vaguely says LG's "new facility investment" worth roughly $238.5 million will be dedicated to Apple's orders, and adds that LG will "build a new plant" for production of the facial recognition modules, which are expected to be part of the iPhone 8's front-facing FaceTime camera system. It's not entirely clear if the front-facing camera will also have dual lenses, or retain a single lens in line with previous iPhone models. Apple analyst Ming-Chi Kuo of KGI Securities previously said the iPhone 8 will have a "revolutionary" front-facing camera system with 3D sensing capabilities, fueled by algorithms from PrimeSense, an Israeli company that Apple acquired in 2013. PrimeSense was known for developing Microsoft's first Kinect sensor for Xbox. 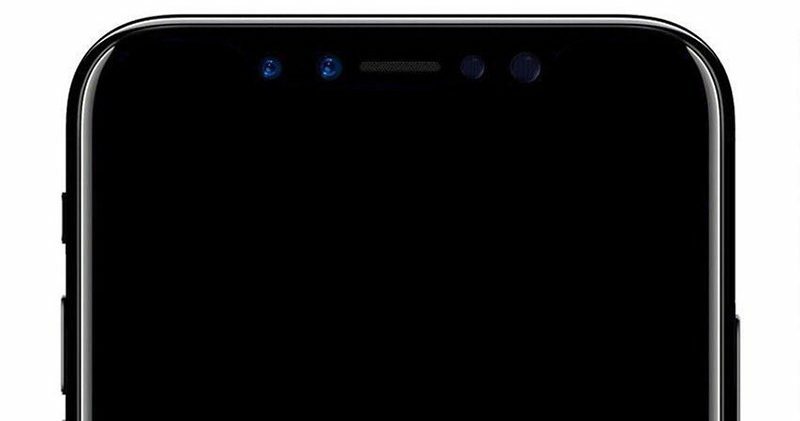 Kuo said the iPhone 8's front camera system will include two infrared modules that are able to determine the location and depth of objects placed in front of it, with potential applications including facial recognition, iris scanning, and some combination of augmented reality/virtual reality/mixed reality. Bit too late to build a plant for a phone coming out in a few months...? They are going to build a $238m plant and get it in production in less than 5 months! That's some going! If that 3D sensing camera is WELL BUILT; we don't care/need the touch ID anymore? It could be place outside the iPhone, let's say in other antique smartphones. Touch ID could be "out"; not below screen, not on the back; just bye; IF the system is PERFECT and as secure as Touch ID. I see a lot of things about this article that concern me. wow can't wait for the iphone 9 with facial recognition. If I was at the keynote and after paying $1.5k+ just to see the unveil in person and saw they put the button on the back and don't use the apple logo either. I would immediately boo loudly as possible and get my stuff and fly back to NY. I hope there is LOUD BOOING at the keynote if they announce TouchID on the back. Imagine they up the FaceTime camera to like 10-12mp. That would be some great selfies! Can't say I agree. I don't want to have to hold my phone in view of my face every time I want to unlock it. I want to be able to lock it when it's at my side or sitting on my desk. Touch ID is fast, efficient and (I assume) secure. I couldn't care less about facial recognition. Won't complain about it being included, but I hope it's not a replacement. I most certainly DO NOT agree. * I often unlock the phone when it's far away from my face and is not aimed directly at it. * whenever I use Apple pay (that's several times a day every day) I need Touch ID and the phone is far away from my face. Even if the 3d sensing system works perfectly I still want Touch ID. No Touch ID on the front=no sale for me.